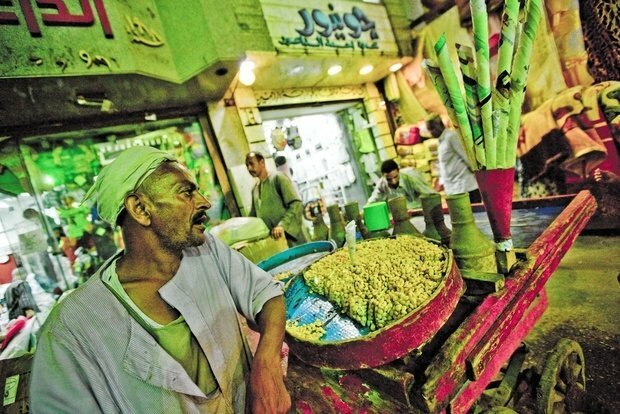 The rise of the informal economy is an outcome of a set of non-inclusive policies adopted during the Mubarak era. Views expressed are those of the author and may not reflect the opinion of Egypt Business Directory. Despite its significance, the informal economy seems to be overlooked in public discussions over future economic reform in Egypt. Informality is a predominant feature of private entrepreneurship in the vast majority of developing economies in total output, employment, and the number of economic enterprises. The percentage of the informal activities in Egypt is estimated to be 40-60 % according to a study by the center for International Private Enterprise. The informal economy is regarded as the economic unit which does not adhere partially or totally to the enforcement of official procedures. These procedures are license to exercise activities, trade or industrial registration, social insurance coverage, and payment of taxes on economic activities based on regular auditing. Informal employment status refers to employees of informal enterprises as well as wage employment in formal enterprises, households, or those with no fixed employer, who are not covered by social security and/or have no contract. Informal employment includes all remunerative work both self-employment and wage employment that is not recognized, regulated, or protected by existing legal or regulatory frameworks and non-remunerative work undertaken in an income-producing enterprise. Notwithstanding its massive share of employment in Egypt, the informal economy is characterized by the low skills of its workers, its labor-intensive nature, low productivity, access to markets, scanty wages and limited potential for growth and collaboration with the formal sector. Moreover, informal enterprises are often family-owned business that provides income or safety net for its members. Since they are not part of the formal economy and lack official accounts, informal enterprises do not pay taxes and are not subject to audits. Informal employment has several drawbacks for workers: lack of job security, lack of social security coverage (including access to health care and pensions), and lack of rights, to name just a few. Also, women are discriminated against in that sector in both hiring and earnings. Yet, there are many reasons why people choose to enter the informal economy rather than secure a job in the formal sector. The low education level and proper training of many workers naturally excludes them from the formal sector. Additionally, the social and financial status of those unprivileged workers as well as their lack of connections contribute to their natural exclusion from the formal economy. There are also deep institutional constraints that inhibit the formalization of the informal economy. Those entail lack of access to sufficient credit, limited access to technology and adequate infrastructure and a discouraging tax system. Moreover, workers in the informal economy are often discouraged by the web of complex bureaucratic regulations and procedures that they have to go through to start a formal business. The existence of the phenomenon itself has several reasons too. The non-inclusive nature of economic growth in Egypt leads people to seek opportunities in the shadows of the formal sector. Furthermore, the lack of lucrative economic opportunities in rural areas in Egypt increases migration to urban centers and this consequently leads to an over demand on formal jobs in major cities that have a limited capacity to absorb this large influx of workers. Accordingly, an expansion of the informal sector and slums arise in the outskirts of the urban cities and in many cases in the city center itself. For instance, one easily observes the massive number of people selling low quality products on the streets of Cairo as well as many unlicensed enterprises that operate in the slums of the ancient city. There is no one-size fits all strategy to combat this phenomenon. However, understanding the deep-rooted reasons of the phenomenon allows for a better policy recommendation. The government of Egypt has to play on a number of fronts in order to allow for the inclusion and enhancement of the status of formal workers. The government shall target the existing informal enterprises and provide incentives for them to formalize. The sort of incentives they might require is better working conditions, better access to markets, improved access to credit with very low collateral and access to better and affordable technology. This would be in exchange for their registration in the formal economy. The government can exempt those enterprises from taxes until they reach a certain threshold of growth and profitability. The government may also facilitate linkages between those enterprises and big formal businesses. Formal businesses may benefit from the cheap materials this sector supplies in exchange for training and teaching them better organizational techniques and methods to increase profitability and growth. Policy makers in Egypt have to reduce the cost of entering the formal economy. Both the reduction and transparency of time-consuming and expensive bureaucratic procedures would be a great incentive for future informal entrepreneurs to formalize. The expansion of economic opportunities in rural Egypt can significantly contribute to lessening the rural-urban migration, which results in many informal and low wage jobs in urban centers. It is important that any strategy that targets the informal economy and the SME sector be devised based on a broad consultation with owners and workers as well as with students who will soon be looking for jobs. Large firms could also contribute to the debate with the aim of increasing interfirm linkages and subcontracting. The rise of the informal economy is an outcome of a set of non-inclusive policies adopted during the Mubarak era. It is noteworthy to highlight that most poor people in Egypt are members of the informal economy. Hence, devising policies to improve the status of informal sector and its formalization is a quest for poverty alleviation and empowerment of the majority of Egyptians. What Egypt needs in the foreseeable future is a pro-poor growth strategy that realizes the importance of including the masses in the growth-generation process itself. The youth who started the revolution are asking for a change in their economic situation, and they are probably not willing to wait until the benefits of growth “trickle down” to reach them, they want to trigger growth themselves and utilize their innovative ideas to make their dreams come true.